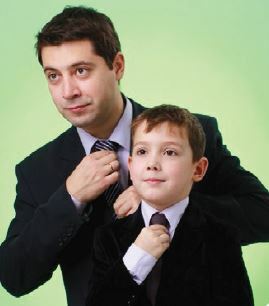 Succession planning is rarely high on the priority list for a family business; however a successful succession plan can ensure that the business will continue to grow and develop when the current owner leaves. There are four vital factors to consider when passing a family business onto the next generation. Businesses should have a plan in place before transferring ownership of the business. This will help to ensure that the past owner can reap the maximum benefits of the transfer and not lose money due to the unforeseen taxes. The idea of a succession plan might sound simple, however, in reality it can take years to implement and involves coordination across multiple areas of a business. Succession planning should not be seen as a single event but as a process that takes place over time. A succession plan needs to well thought out– and it takes time. It is important to have the right people in the right jobs and with responsibilities that accord with their capabilities and experience. This outlines the finer details of the succession arrangement and should initially be set out in broad terms by the business founder and key family members. The plan should eventually become the blueprint for a harmonious and profitable transfer of ownership of the business. It should also address family assets outside the business, such as the owner’s superannuation and/or trusts. Family businesses often have family members working full time, part time and some not at all. It is important that the succession planning process be open and transparent with all family members involved and informed. Having ‘closed’ or secret meetings can create speculation and rumours. This can lead to disharmony as those excluded members may feel overlooked. A vital component of a successful succession plan includes the input of a qualified and experienced advisor. Many business owners will require expert help to assist them in navigating the myriad of issues that arise with succession planning. These issues can vary from capital gains tax, estate planning, retirement planning and stamp duty. The advisor can also assist in documenting the succession plan, as well as establishing a clear business strategy.